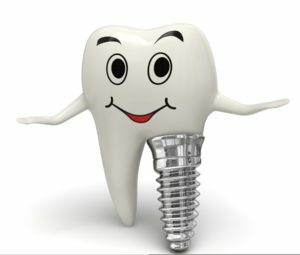 Implants are metal (titanium) posts (roots) that are surgically implanted beneath your gums and fused to the jawbone, acting as artificial roots. Replacement teeth either single or multiple teeth with crowns, bridges or over-dentures are then put into position (fixed) to the implant(s). Dentures, bridges or single teeth mounted to the implants won’t slip or shift, which is especially important for you when eating and speaking. The confidence you’ll feel and secure fit is because these teeth are stronger and more natural than conventional bridges or dentures. People discover the stability of implant supported dentures as they are more comfortable than removable dentures. Fourth sentence add the word positive before psychological. There is a well-researched psychological impact on a patient’s self-esteem and self-confidence that more than 90% of implant patient’s experience. Why is it important to take a 3D X-ray when placing Implants? You’ll need to have healthy gums and adequate bone to support the implant. You must also commit to keeping these structures healthy. Good oral hygiene habits and regular dental visits are critical to the long-term success of implants. Implant placement can involve more than one minor surgery, so candidates must be in overall good or stable health. Few people are not able to have dental implants even with their general health conditions and the amount of remaining jaw bone in mind. Most people are candidates especially those with significant bone loss, the elderly, and people with controlled health problems such as high blood pressure, diabetes and osteoporosis. First, talk to your dentist as they will be familiar with your current/historical oral health and will help you to determine whether dental implants are an option for you. The dentist may gather additional information by taking dental X-rays or making models of your teeth. This information will help determine whether you are a good candidate for dental implants. Your dentist will then consult with Dr. Raz as to the option you have for your situation. Who should I turn to for implants? Dr. Raz is considered an expert in the preparation and placement of implants. By limiting his practice to implants and the surgery associated with them, Dr. Raz is uniquely qualified to answer any questions you may have about implants. Rarely do surgeons limit their practice to dental implant surgery. This is a huge benefit to you. Once it’s determined by your dental team that the implants are the way for you to go, the first step is to have Dr. Raz surgically place the implant (anchor). After a bone healing period the next step is to affix the artificial teeth (or tooth) in place. This is a comfortable procedure and often transitional teeth can be attached to the implants the day of placement (immediate teeth/ immediate loading/teeth-within-a-day). Regular dental visits will be needed to make sure your implants and replacement teeth are working properly. How comfortable are the procedures? Patients routinely tell Dr. Raz and his team that having the implants placed was much easier than having teeth removed. They regularly compliment them on how gifted they are at helping people emotionally through the surgical care they provide. This is another key distinction that sets Dr. Raz practice apart from others. He and several team members have had implants and bone regeneration as well, so they understand firsthand what patients experience with these treatments. They have a strong commitment to helping patients feel safe and secure at all times during treatment. No, with traditional treatment methods we immediately give you removable temporary teeth, which give you acceptable esthetics and minimal function while the bone heals. With immediate loading you will receive temporary fixed replacement teeth that are close to the final result. Will my new implants be as strong as natural teeth? Yes, they may even be stronger, depending on your current condition. Compared to removable teeth, implanted teeth have better chewing efficiency and comfort which makes it possible for you to eat your favorite foods again.